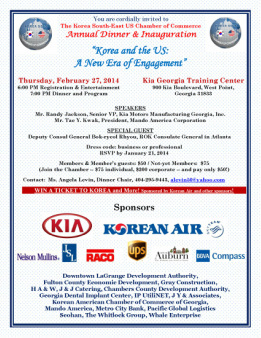 "Korea and the US: A New Era of Engagement"
Mr. Randy Jackson, Senior Vice President of Kia Motors Manufacturing Georgia Inc.
2. 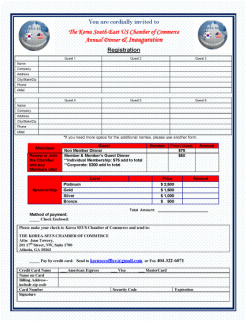 By Mail or Fax : Complete the form below and return by mail or fax. Step 1. 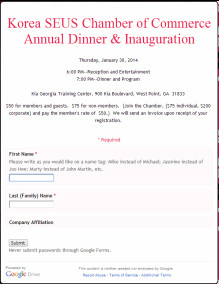 Click Online Registration Form Below. * Please select Quantity and click Update to get the total amount of payment.